Chase Homes has 108 units with one to four bedroom floor plans. These units are located off 2ne Avenue with a view of the River next to the downtown TSYS campus. This is a small campus with a wonderful view of the river. Enjoy walking on Columbus’s beautiful River Walk and drop by Downtown for endless options for dining and entertainment. We are located near the River Center and Historic Springer Theater. Downtown Columbus features a Farmer’s Market, Bands, Fairs, and many various outdoor activities. Amenities at Chase Homes include washer connections, water, trash removal, and onsite staff and maintenance. We have a Community Center and Computer Lab! Our units are Gas and Electric. We are conveniently located near our local hospitals, medical offices and health department. Our Community has a playground for our kids and a Girl Scout Troop! The ROSS Program gives our Families the resources it needs to Grow. We have Job Fairs, Health Fairs, Educational opportunities, family activities such as our Block Party. Dance lessons, tutoring, and free membership to the Boys and Girls Club just for our Kids! We have the FSS program that gives our families the resources they need to succeed in their life goals. If you have dreams such as owning a home, a new car or even that college degree, this can be in your reach. Our children can go to Davis Elementary, South Columbus Elementary, Thirtieth Avenue Preschool Center, Downtown Elementary, Marshall Middle, and Rose Hill/Daniel Alternative. 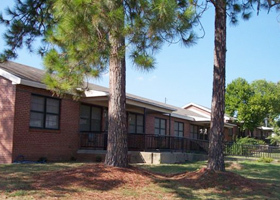 Fox Elementary School Elementary, Arnold Middle School, Daniel Alternative School, Jordan High School and Muscogee County Evening School, Columbus Technical College are choices for our Residents. We have many resources for our residents to enjoy and have a fun safe community in which to live and grow. We have a Resident Council and Security Task Force organizations for our residents. Also, we have the book mobile that comes through our area. Additionally the Chase community is close to various places to worship; and close to some of the major shopping areas Uptown and Downtown. Transportation is provided free for many of the activities our residents enjoy!